Asus ZenFone 2 Laser is an affordable phone with an okay processor. Lesser RAM leads to some lagging when used highly. The Android OS on this phone is outdated. The battery life is very poor and does not last long. Rear camera quality is good but front camera is not very good. This phone is among the best for the price. The camera takes some really nice photos and the laser focus does help out . It also has a nice night and low light mode. No heating or any other problem. 4 Pricebaba users have written their experience with Asus ZenFone 2 Laser 2GB/8GB. 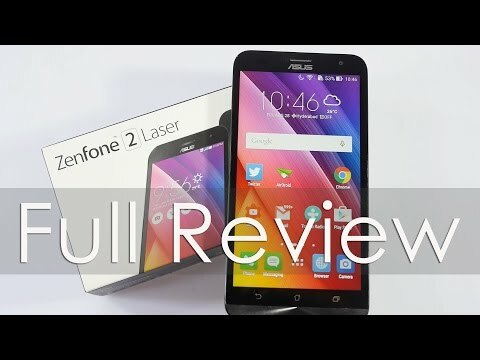 If you own Asus ZenFone 2 Laser 2GB/8GB, please do leave your feedback too. The Zenfone Series by Asus saw rapid expansion with a launch of a lot of devices at the Asus Zen Festival. The Zenfone 2 Laser was launched alongside the Zenfone 2 Deluxe and the Zenfone Selfie. Just by looking at the name it is pretty evident that the phone is based on the highly popular Zenfone 2. The Zenfone 2 Laser (ZE500KL) has a 5 inch display with a resolution of 1280x720 pixels. The Zenfone 2 Laser also has a 5.5 Inch option which gets a bigger 3000mAh battery so in case you want good battery life you can opt for it. The Zenfone 2 Laser is the only device under Rs. 10,000 to have Laser AutoFocus, a feature that is only available on phones like the LG G4 and the OnePlus 2 which are way more expensive. The Laser AutoFocus isnt the only highlight on the phone, it has a 13 Megapixel camera at the back and a 5 Megapixel camera at the front. The phone has 8GB of internal storage and a MicroSD card slot that takes cards up to 128GB. The battery in the phone is non removable and comes with 2070mAh battery.